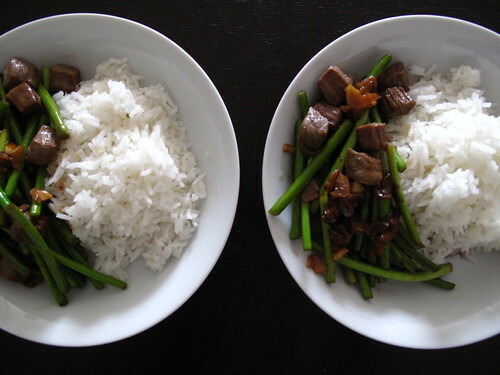 Garlic shoots and beef cubes with rice for breakfast. My mommy would be proud. 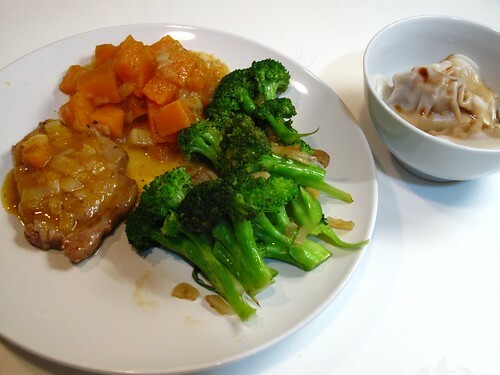 A fun experimentation with leek and sweet potatoes in creamy butter sauce which goes surprisingly well with pork cutlets. I’m never looking at sweet potatoes the same way again. Heh, thanks ! Glad that you’ve found them enjoyable so far !